This city of ours is packed with ordinary people who quietly go about doing extraordinarily good deeds in a bid to make other people’s lives a little brighter. And one of them that I am privileged to know will make his way to Buckingham Palace on Thursday to receive an MBE for services to charity. All hail Bernie Buxton, co-founder and treasurer of the Liverpool Taxi Drivers Children In Care Outing Fund, which is celebrating 30 years of organising annual trips for underprivileged children from across Liverpool and Merseyside. These never-to-be-forgotten adventures have seen big-hearted city cabbies take countless thousands of children to Blackpool Illuminations, Southport Pleasureland, Frontierland in Morecambe, Camelot in Charnock Richard, Gulliver’s World in Warrington, Butlin’s in Pwllheli, Knowsley Safari Park, Chester Zoo, numerous pantomimes – and, on two special occasions, to Disneyland Paris. Retired cabbie Bernie, ECHO readers will know, was also one of our Gift of The Cab columnists. 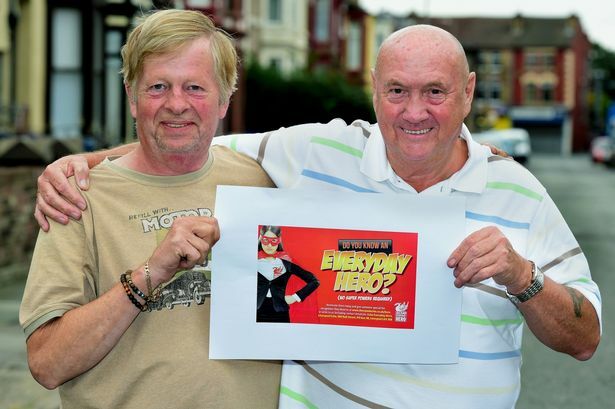 The ECHO has always been pleased to sing the praises of previously unsung local superstars – which is why we last year asked you to nominate someone as your ECHO Everyday Hero – someone who always puts others before themselves and goes above and beyond the call of duty in everyday life to help friends, neighbours or strangers. I asked Bernie Buxton to help us kick off our campaign, and he chose foster dad Ritchie Anson, from Walton, who, with his wife, Anne, had fostered an astonishing total of more than 1,000 youngsters in 33 years. The truth is Merseyside couldn’t do without people like Ritchie and Bernie – and all the other selfless men and women we have been so glad to highlight over the years. Merseysiders are well-known for their sense of community, but while people don’t do things in a bid to gain official approval it’s nice when the well-deserved awards come around – so well done, Bernie!